Apple's AirPods are by all measures a victory for the company, with Apple retail stores quickly blowing through received stock. However, online orders placed through Apple are in some cases shipping weeks earlier than advertised. According to multiple reports on social media, Reddit claims, and tips to AppleInsider, people who ordered shortly after launch but were told that shipments wouldn't happen until 2017 are getting a surprise before the new year. One AppleInsider reader who called their order "somewhat late" on Dec. 13 was originally given an estimated delivery of Jan. 12. On Thursday morning, the devices were updated, with expected delivery on Dec. 28. Other readers have similar accounts, with some even expecting to have the sought-after devices before Christmas. AppleInsider once again inquired as to stock of the AirPods at Apple retail since launch. Two of the Apple Stores in question have still not received any stock, with six having received about 30 pairs since Monday's availability. Two of the stores we've been tracking, the initial two that said that they'd have 20 at launch, have sold "hundreds" since Monday. The sought-after devices have been added to Apple online stock-tracker iStockNow, but with a noticeable difference between restock and actual quantity on hand. "If we've got it, and you want it, don't wait," one Apple Retail manager told us. "Yeah, we're getting them in, more than corporate said that we would by a long shot, but man, do they sell out fast." "If Apple sent me a thousand sets, they'd be gone today, and then another thousand tomorrow," a manager at a different Apple store told us. "I wish I had more." In-store availability has yet to happen at our polled Target and Best Buy stores. However, both retailers can have the devices "shipped to store" when they are available on the online portals. 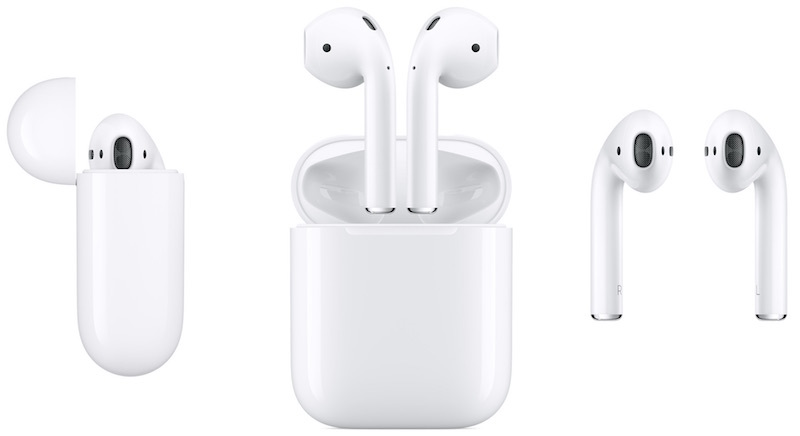 Apple's AirPods include the W1 chip for easy pairing and Bluetooth connectivity, as well as beam-forming microphones, accelerometers, and a small charging and carrying case. AppleInsider went hands-on with the $159 wireless headphones and came away impressed with their advanced technology and ease of use.